Below are a few shots from my phone of the back entryway so far. We painted it Bakery Box White in December, and it lightens the whole room up from its previous dark yellow walls. i love room redos! good luck w/ it! I do think it's going to turn out fantastic!! 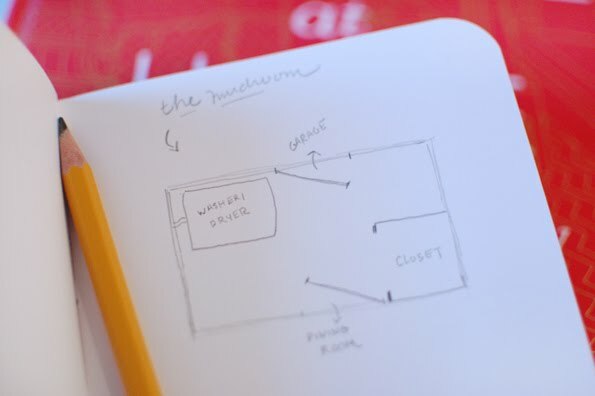 I like your little sketch plans, but my favorite part are the little coat hangers you drew!